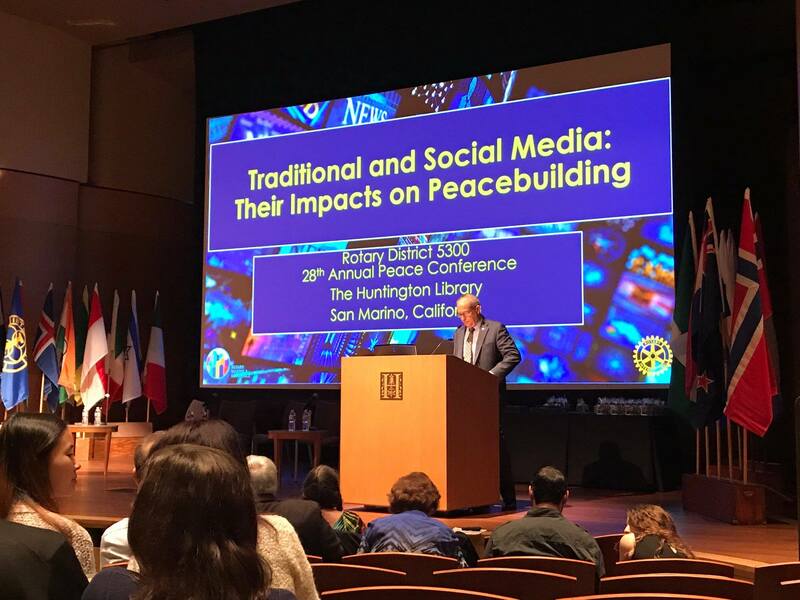 Rotary District 5300 will host its 29th Annual Peace Conference on Feb. 23 at the Ann and Steve Morgan Auditorium located on the University of La Verne campus. The conference is a collegiate forum open to students, faculty, and community members seeking to advance peace in their work and community projects. The conference will feature keynote speaker Ray LaHood, a former U.S. congressman and secretary of transportation. In addition, attendees will hear from Yvonne Dutra-St. John, MA, MFT; Dr. Tom Le, assistant professor of politics at Pomona College; and Thomas D. Allison, Esq., founder and president of Social Justice Advocacy Project. The conference was established by Dr. Garbis Der-Yeghian, president of Mashdots College in Glendale, CA. It is held every year with the support of Rotarians and local Rotary Clubs in District 5300, which serves parts of southern California and southern Nevada. Rotary International is a global organization that promotes service above self. Members are volunteers who work locally, regionally, and internationally to combat hunger, improve health and sanitation, provide education and job training, and promote peace. Tickets for the conference are available at district5300.org/peace-conference. Students are free with ID.